Looking to extend the life of your Android handset? 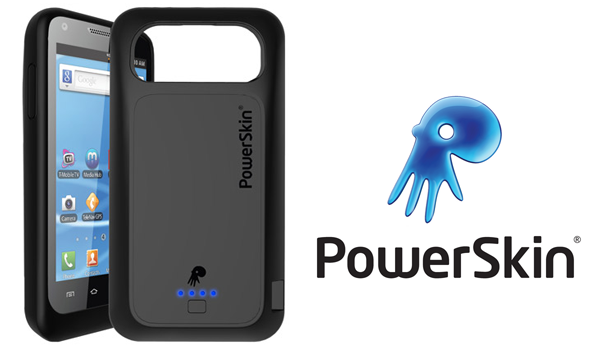 Consider PowerSkin and their ever-expanding line of battery cases. Designed as equal parts phone case and extra battery, these guys are uniquely created for select Android smartphones. Forget carrying around a power bank or portable charger, this does the trick without any additional hardware. 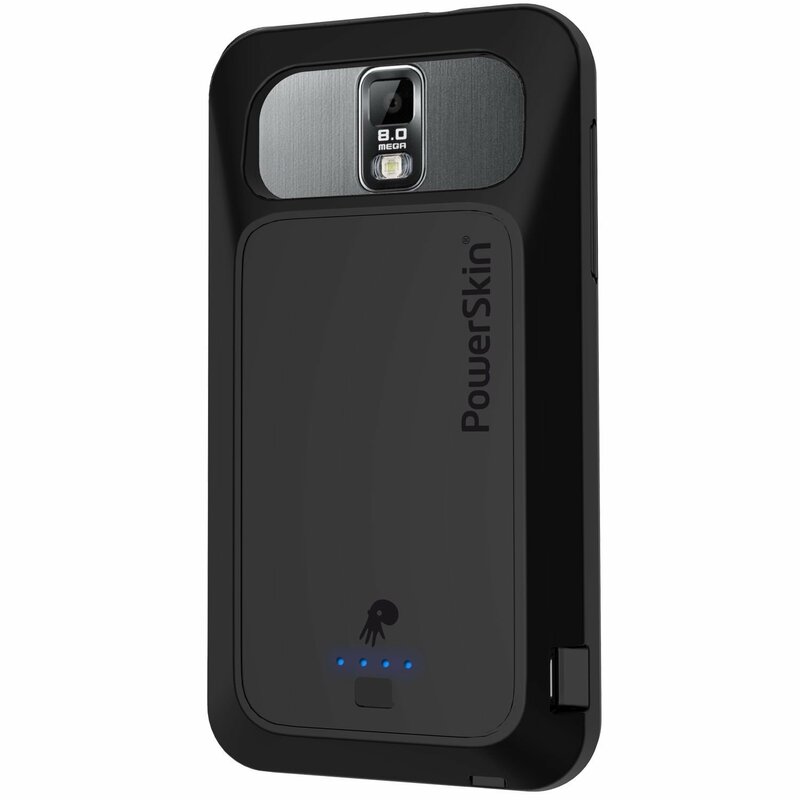 We tested a PowerSkin on our T-Mobile Galaxy S II however there are a number of models to choose from on the company’s website. Who doesn’t love having double the battery life for their Android handset? Even if you have a Droid Razr Maxx, chances are good that you’d appreciate extra time with your phone before charging it back up. The 1500mAh battery inside the case does just about that, double the life of your Galaxy S II and its stock battery. The rubber gel skin that wraps around your phone feels good in your hand even if it is a little squishier than we expected. Considering you have to put this on over top of your existing handset setup we can understand and appreciate the need to go soft. That said, it does feel a loose around the edges at first however extended use told us that it was not going anywhere. We liked having a visual representation of the remaining battery life and the 4 LED buttons on the rear proved to be helpful. What’s more, we enjoyed the peace of mind in knowing we did not have to use the extra juice if we didn’t want to. A simple push of a button toggled the power to the device and lets us reserve the reserves. As is the case with other PowerSkin units, the form factor was unique to this handset and featured cut-out for charging, headphones, microphone, and camera. Along those lines, however, we ran into issues with charging once or twice because the microUSB cable we used had a goofy or large connection point. Generally speaking, this was not a problem, but we felt compelled to share. As something that doubles the life of your phone’s daily battery we expected this to be a bulky unit. Yes, it practically doubled the thickness of our Galaxy S II but we grew comfortable with it in under a week. If you’ve just received a new smartphone and are considering a gel case or extended battery, this is probably one of the smarter ways to go. Those of you who have had a slim and sleek phone for a while now will certainly notice the size and heft but new buyers will adapt quickly. PowerSkin is selling the (T-Mobile) Galaxy S II model for $69.99 right now however Amazon has it for nearly half ($35.84) the price. If you can find one for your phone for around $35-$50 then I would say hop on it. Much more than that and you’ll want to test things out in the real world first.